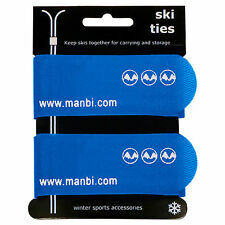 Ski strap the perfect carrier for skis and poles with a new D loop making it easier to keep in place. A ski carrier that WORKS! Simply wrap your skis and poles together. The Ski and Pole Carrier, that won't let you down with Vertical carrying for hands free effect. It shows the board’s full graphics. Your snowboard hangs securely and can be hung or removed your in less than a second. The plastic and rubber construction will not scratch your board. Everything you need to hang one snowboard is provided including hardware and instructions. Manbi SPF30 Suncream with SPF15 Lip Balm on Safety Neck Cord. Consider your skin; protect yourself against the harsh effects of the sun with our Combi suncream. In addition to this, tyrosine has been included as it enhances the body's natural tanning process. 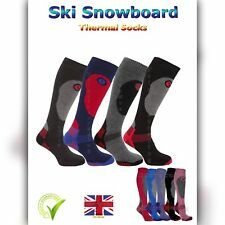 Ideal for boots, shoes, gloves or any other wet winter gear. Then give them a light shake to evenly distribute the silica beads (back towards the heal) and leave to work their magic. If footwear is not soaking wet then they can dry in as little as 4-6 hours! DAKINE PYRAMID STUDS SNOWBOARD STOMP PAD. DAKINE SNOWBOARDS. Stand on the stomp without twisting, the more weight the better. Studs and stomp pads aren't always necessary, but when you need them, you want to know they're going to work. This is a great lock to secure skis, snowboards, ski/snowboard boots, pushchairs, buggys, prams and even bikes to any object when out and about. This Morgan retractable lock uses a 3 digit combination lock which can be set and changed to any desired combination quickly and easily.The retractable pull out steel cable is 520mm in length and can easily bend and pass though the any item(s) you wish to secure.The lock is small and light enough to keep in your pocket, jacket or bag whilst out and about. 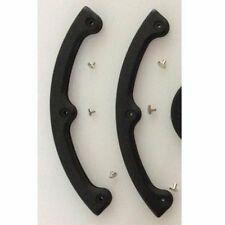 This item is for one pair of monoboard edge bumper cover: one for front, one for tail. One size fits monoboard. Color: black. Tough SINGLE Outdoor Attitude Padded Ski Bag. Adjustable padded shoulder strap. Padded central binding Section. A pocket sized retractable cable lock with a 4 digit locking code. Body Armour & Pads. You Save £1.00. 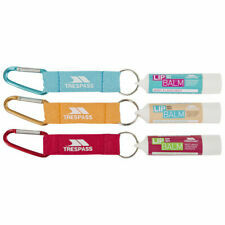 RRP £14.95. From £13.95. Hats & Beanies. S/M (54 - 58cm) & L/XL (56 - 62cm). Goggle clip. Adjustable vent system. Tough Double Mountain Pac Padded Ski Bag. Adjustable Padded shoulder strap Middle grab handles with velcro retainer. Adjustable padded shoulder strap. Padded central binding Section. 100% perfect item. Model: AD1. Output: 220 Watt. Power: 230V/50Hz or 120V/60Hz. The airbag system dramatically reduces the chances of burial in case of an avalanche. Never used. Manbi SPF30 Suncream with SPF15 Lip Balm. 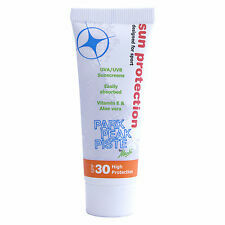 Consider your skin; protect yourself against the harsh effects of the sun with our Combi suncream. In addition to this, tyrosine has been included as it enhances the body's natural tanning process. Ortovox M1 Transcevier. I currently have a new Ortovox. Mammut avalanche probe 320. Condition is New. Dispatched with Royal Mail 2nd Class. 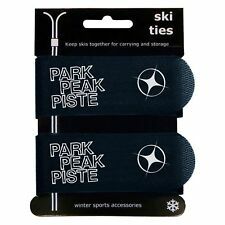 Ski strap the perfect carrier for skis and poles with a new D loop making it easier to keep in place. A ski carrier that WORKS! 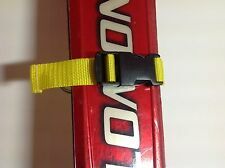 Simply wrap your skis and poles together, using the easy loop and fix. Assorted Dakine stickers, price is per item. Dakine Shield (Blue, Red, Black and White) 10cm x 9cm. Dakine A Northwest Tradition 10cm x 7cm. Dakine est 1979 8cm x 10.25cm. Dakine Hawaii 10.5cm x 8cm. MAMMUT PULSE BARRYVOX TRANSCEIVER (HARNESS INCLUDED) In multiple burial scenarios, use the side button to mark rescued victims to mask their transceiver signals so you can more easily search for other victims. Skis can be tough to handle. At 55mm wide they are suitable for most standard sized skis. S/M (54 - 58cm) & L/XL (56 - 62cm). Rear retention/adjustable fit. Adjustable vent system. Manbi SPF 15 Suncream with SPF15 Lip Balm. Consider your skin; protect yourself against the harsh effects of the sun with our Combi suncream. In addition to this, tyrosine has been included as it enhances the body's natural tanning process. 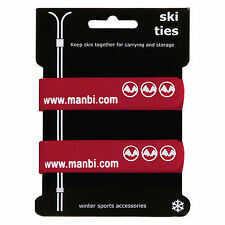 This wristguard from Manbi comes in tough Neoprene that will feel comfortable while protecting your wrists when skiing and snowboarding. It comes in a low profile design with a rigid anatomical insert and tri strap design that locks the guard in place. Sold as a pair. Manbi SPF 30 Suncream. 20ml tube of SPF30 suncream. Wedze Wed’ze SG 300 Sunglasses. Tiny scratch on mirror.